Provide the right people with the right access to the right data at the right time. Monitor market conditions, customer preferences, future trends, and demographic shifts. Make sound business decisions based on accurate, consistent, current, and comprehensive information. Many organizations already have much of the data they need to achieve these goals. Unfortunately this data is often locked up in multiple, disparate information technology (IT) systems. These systems do not easily share data, or the data is inconsistent, inaccurate, or out-of-date. Business decisions are only as good as the information on which they are based. 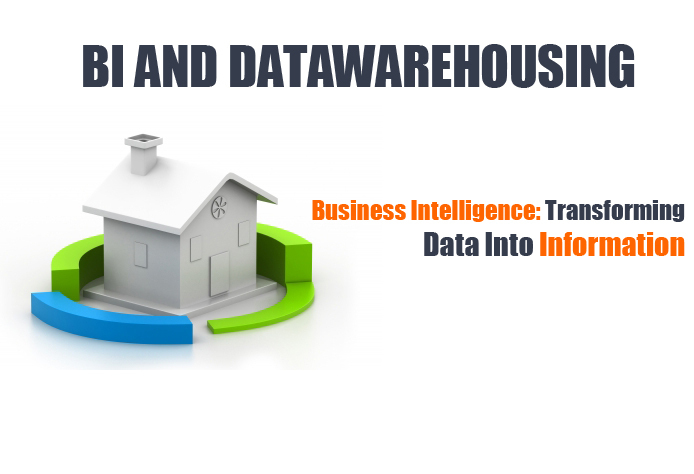 Our Business Intelligence and Data Warehousing Solutions practice ensures the availability of business-critical information. It also opens the door to competitive advantage and a host of other benefits, allowing companies to substantially enhance bottom-line profitability. Lucid Technologies, Inc has helped numerous enterprises address the challenge of unlocking the enterprise data resources that enable insight into competition, market dynamics, customers, products and operations. Lucid Technologies, Inc's Business Intelligence Solution Practice helps companies in a wide range of industries leverage business-critical information across the enterprise - an essential first step in making decisions that are intelligent and timely. Our Data Warehousing solutions allow you to access, analyze and share data from disparate sources; data silos are broken down and made accessible. If getting the answer to an important business question at your organization involves dispatching a team of people to scour multiple IT systems, databases, and spreadsheets, then a business intelligence solution may be for you. "Business intelligence" refers to a broad category of applications and technologies for gathering, providing access to, and analyzing data to help enterprise users make better business decisions. "Data" is essentially raw numbers, and organizations worldwide have lots of data. But data by itself is not entirely helpful. "Information" is data in the context of business goals, customer needs, and market changes. Information-as opposed to data-can provide the guidance needed to make competitive, effective decisions that lead to greater revenue and profitability. A business intelligence initiative can help your organization create infrastructure to transform raw data into information you can use to monitor the marketplace, make decisions, and measure company performance. A BI initiative often takes the shape of a web-based portal, or business intelligence portal, which provides secure access for authorized individuals to view a wealth of information. Behind-the-scenes, BI portals are supported by a suite of software applications that compile data from multiple company sources into enterprise data warehouses and data marts. The software frequently uses an extract / transform / load (ETL) tool or other enterprise integration mechanism to pull the information together and transform it. Since the data comes from multiple sources, it may be in multiple formats, such as when one IT system stores a customer's name as two records (last name and first name) and another system which stores the name as one record (first name + last name). The ETL tool transforms the data into one consistent format, and then stores it in a data warehouse (for reference or historical data) or a data mart (for active or current data). For more than 30 years, Lucid Technologies, Inc, Inc. has helped businesses and government entities build, integrate, and support their mission-critical business systems. Mid-market and Fortune 1000 organizations turn to Lucid Technologies, Inc to find ways to reduce costs, improve efficiency, and streamline business operations. With more than 80 offices worldwide, including 60 offices in the U.S., Lucid Technologies, Inc has the global resources of an international firm, while offering the local accountability and relationship management of a local partnership. We provide technical, business, and industry expertise, but remain vendor-agnostic. At the same time, we maintain strong partnerships with leading technology companies, such as SAP, Oracle PeopleSoft, Lawson, and Microsoft, so we are current on their technological developments and have colleagues to partner with when a challenge necessitates it. Lucid Technologies, Inc's focus is to evaluate and recommend the best solution for each client's specific challenges, and implement that solution following established best practices. We are not driven by products and technologies, but are guided by clients' business needs, sensible solutions, and industry best practices. Business intelligence is not a product that can be installed. Instead, it's a way of gathering, using, and storing data to promote a smarter way of doing business. Lucid Technologies, Inc can assist in your business intelligence initiative, whether you're just getting started or have a mature process in place that only needs refining. Having assisted numerous clients in a vast range of industries with their business intelligence programs, Lucid Technologies, Inc offers clients the following services. The discovery is a short-term, yet high-impact initiative to capture your organization's current state of affairs. Starting with a one- or two-day visit to your site, we obtain a "snapshot" of your organization's current IT position by collecting and analyzing system-level documentation, business objectives, and vision and mission statements. We interview key individuals and conduct group analysis to identify your business drivers and IT requirements, and understand how the system currently meets or misses business needs. We then go off-site to analyze the data, meeting with you again approximately two weeks later with recommendations on how you can narrow the gap between current and desired IT states. A six- to 12-week effort, an assessment requires more rigorous information gathering than a discovery session, and offers more comprehensive analysis of your organization and enterprise architecture as a result. We interview key IT and business stakeholders, review documentation, and conduct group analysis and joint application design (JAD) sessions to identify your business drivers and IT requirements, to understand how your current system meets or misses business objectives. Lucid Technologies, Inc can evaluate and recommend software and components, and can assist with return-on-investment (ROI) calculations and building of a business case to present to executive management or board of directors. The end result is an overall strategic enterprise "roadmap" that describes the scope of the effort, identifies discrete tasks and projects to undertake, and denotes timelines and deliverables to move forward and incrementally implement a business intelligence program for your enterprise. Experts from our Global Enterprise Integration Practice and our local branch office take the results of the roadmap and work with you to design, build, and launch your business intelligence initiative. This involves technology, but most importantly, it involves change management, disciplined business process re-engineering, and data governance principles. Our consultants will conduct extract/transform/load activities, build data marts and data warehouses, and create BI interfaces and portals for your initiative. We will direct process standardization and documentation projects, issue resolution, and IT and data governance. Our proven, disciplined processes enable us to achieve project goals on time and on budget, allowing us to focus on driving costs and delays out of the process, so we can drive quality into it. We'll work with an eye toward measurable business results: cost containment, faster time-to-value, and minimized risk. Lucid Technologies, Inc views every client engagement as a relationship, not a transaction. We work with you to ensure that your system performs as expected, providing knowledge transfer to your team members so they can address issues as they arise. By nurturing independence while promoting project success, we offer you a smooth transition to the new system, yet we're available whenever you need our assistance.